When Safari is mentioned there are a few words that spring to mind; Africa, wildlife, sundowner, savanna plain, exclusive, luxury… budget? Budget isn’t a term we often synonymise with the safari experience; however, you don’t have to vacation in lavishness to safari! You’d be right for thinking of ‘exclusive’ and ‘luxury’ before ‘budget’, in 2009, the average price of an African safari was $800 to $1000 per person per night (we can assume that figure has increased almost 10 years on). Yet, you needn’t pay through the roof to experience the wonders of the African bush. 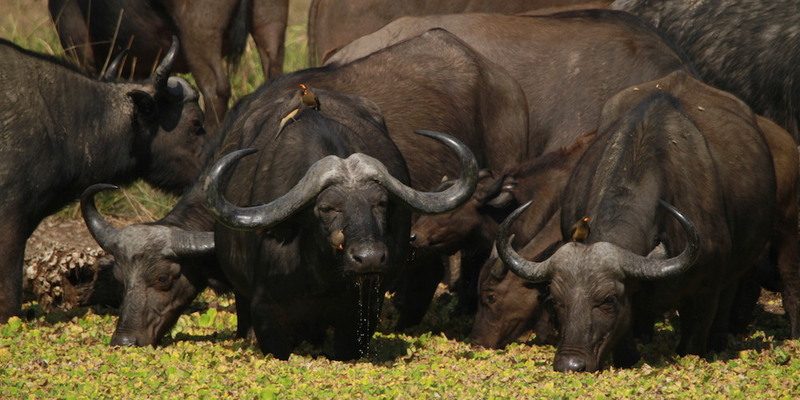 The Serengeti and Maasai Mara are extremely well known and very popular national parks. This level of popularity results in lodge and park fees being more expensive than lesser-known parks. The park fee for a non-EA citizen at Serengeti National Park is $60USD compared to $25USD at South Luangwa. If you’re a family of 4 on safari for 5 days and opt for South Luangwa instead of the Serengeti you could save somewhere in the region of $700 on park fees alone. Money aside, South Luangwa is much less crowded than familiar Tanzanian and Kenyan parks. Often, in South Luangwa, you will not see another vehicle during your game drive, you certainly won’t be admiring a leopard surrounded by 5+ safari vehicles. One of the most efficient ways to cut costs is to travel off-season. Lodge rates can drop by up to 30 percent. The off-season varies across the continent but in Zambia, it is from November – April. Individual camps off-season periods can differ slightly from one to the next but most are within this interval. The off-season is cheaper due to the weather conditions. During this period, there is a much higher risk of rain but don’t let that put you off. Rains are mostly short showers late in the afternoon and are seldom continuous for days. 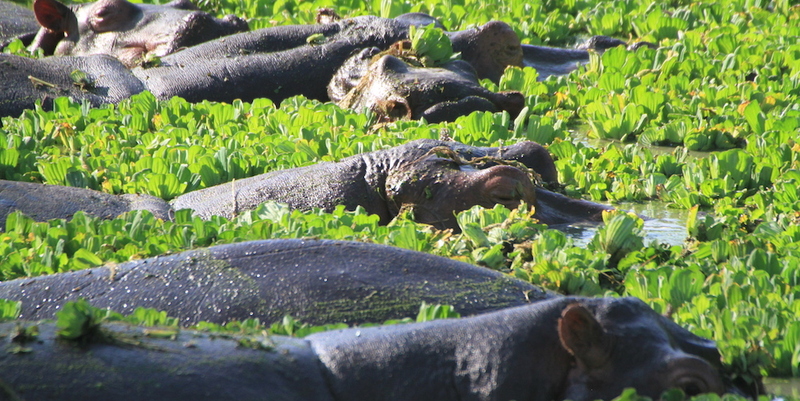 The green season, or emerald season as it is often referred to, delivers a different kind of safari experience. The trees blossom, the birds grow their breeding plumage and fill the air with their mating calls, the landscape is all-round greener thus making it harder to spot game but more exciting, and rewarding, when you do and you will see lots of babies! Accommodation is the biggest cost but it doesn’t have to be. Many lodges in South Luangwa charge upwards of $500 a night; you will be pampered, eat excellent food, dine in luxurious surroundings and sleep in the most comfortable bed ever. However, you don’t need to stay in ultra-luxe accommodation to experience great wildlife and that’s what you’re there for, right? Rather than spending $500 a night, you could spend $450pp for 2 nights and 3 days at one South Luangwa camp this price includes your meals, game drives and guided road transfers. 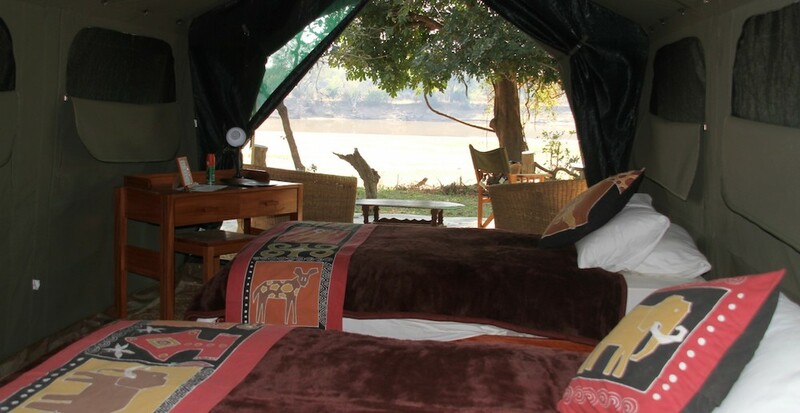 Another camp package costs $710pp for 3 nights and 4 days with all activities, meals and guided road transfers included in the price and there are many more safari packages like this. You may question how there can be such a difference in price, we can assure you it isn’t because the cheaper lodges deliver a sub-standard service, not at all. The food is good (and there’s plenty of it), the accommodation is comfortable and clean, the views from the camps are amazing, the service is impeccable and the game viewing is the same – awesome. Avoid flying between destinations and opt for road transfers instead. Go one step further and travel in a group, doing so will reduce the cost of transport as it is shared between you and your fellow travellers. Just make sure that you are on a private vehicle with a reputable guide and not bundled into a mini-bus on a package holiday. Guided road transfers provide you with a unique opportunity to see and learn more about the country. Our guides will be only too happy to share interesting anecdotes and facts with you about the destinations they adore. Remember a safari doesn’t have to be expensive. You can tick ‘Safari’ off your bucket list without remortgaging your house. When trying to save on a holiday it can be tempting to go for the cheapest option without looking at the detail. You don’t want to cut corners and end up staying in a lodge 10 miles from the park or taking a transfer and being dropped off hours from your accommodation. Do your research! To avoid such nightmarish situations, explore our website, discover our cost-saving packages and keep an eye on our deals! If you would like to visit South Luangwa or simply want to learn more, get in touch with our team today.